Thank you so much, Tamera. This is a timely reminder I needed to hear. You are so welcome April! I think is a reminder most of us need these days! Hello - I've been lurking around here for a little while and am curious to hear what you have to share on self-care. Are there some of your posts you could point out in which you share your thoughts on this topic. I love visiting your blog - I'm floundering around in middle age and you inspire me to try harder to find my place in the world. My dear, thank you very much for your inquiry. I am actually working on a post for tomorrow on the subject of self care … I hope you will come back to read it. I will also go through and see if there are particular posts of mine that also have self care reference. Thank you for your interest. 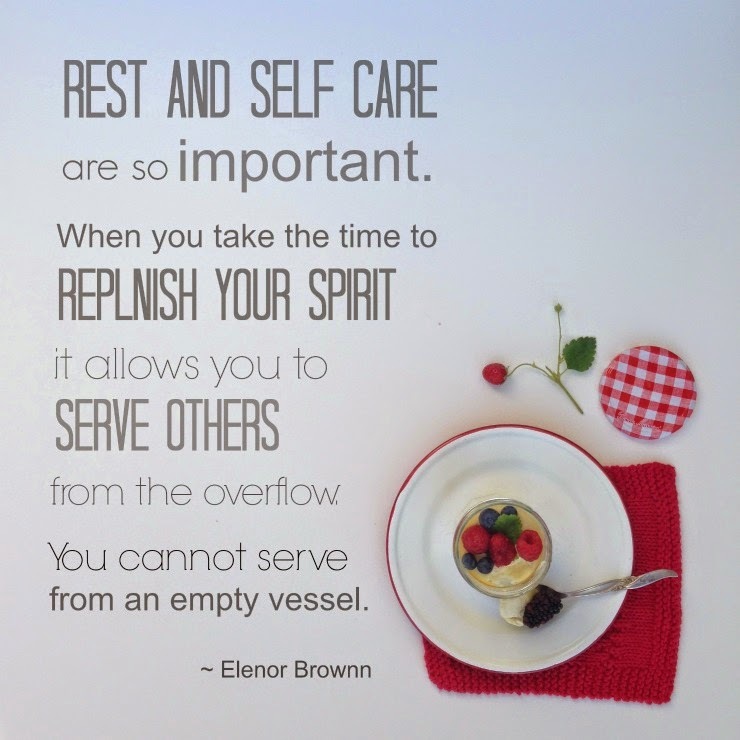 I am a big proponent of self care … which is really just a beautiful form of self respect.